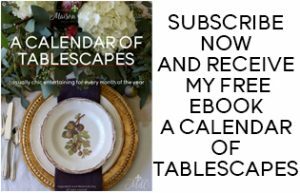 For a blogger who normally posts roughly twice a week, this season has sure been busy! 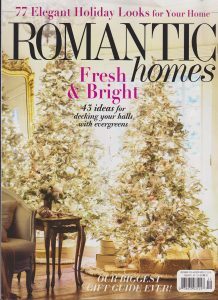 Hopefully you’re not sick of hearing from me, as I’m sharing another holiday home tour post today. 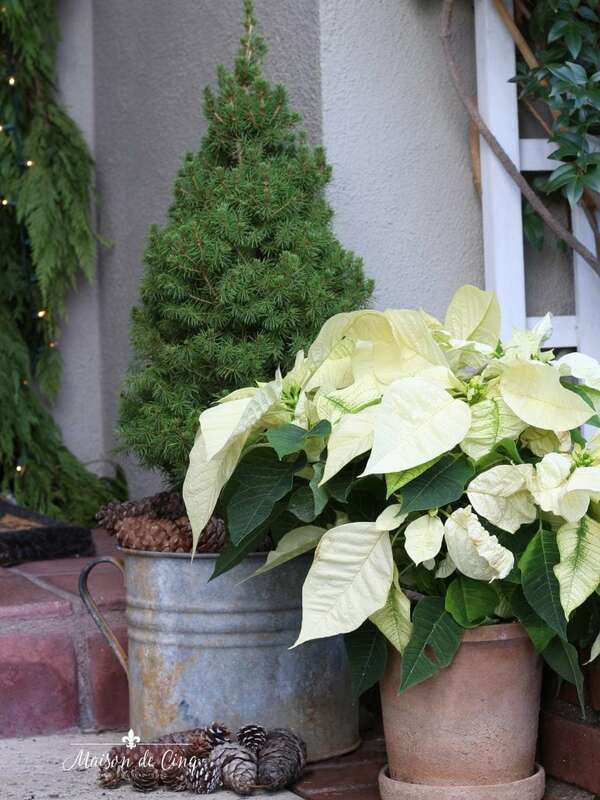 This time I’m joining the 12 Days of Holiday Homes Tour hosted by 11 Magnolia Lane and Evolution of Style, and I’m excited to show you my Soft & Subtle Christmas Front Porch! 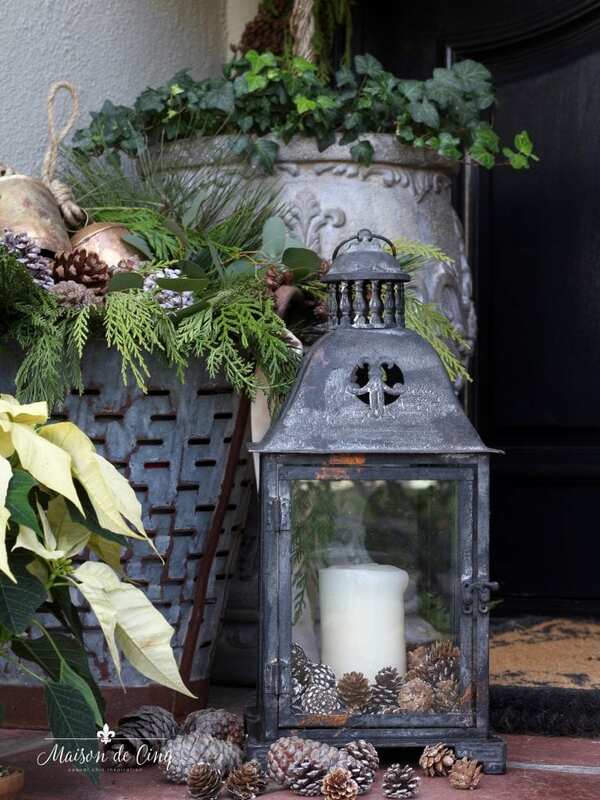 I love decorating a holiday porch, and I love looking at them, too. 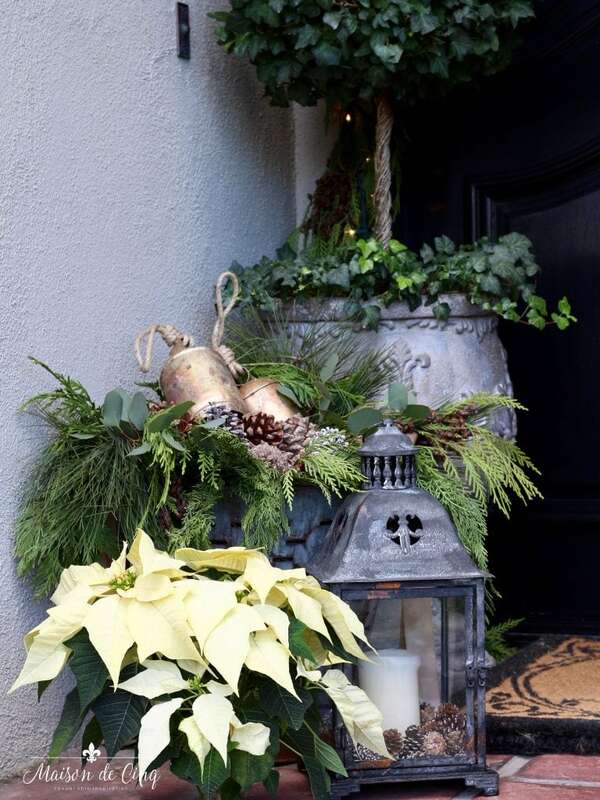 For me, it’s actually one of the most important parts of your holiday decorating as it sets the tone before anyone walks through the door. If you’ve been here before, you know that this year has been the year that I introduced pinks and soft blushes into my Christmas decorating. Totally a new thing for me 🙂 And though I love the palette, pink on the porch didn’t really seem appropriate. 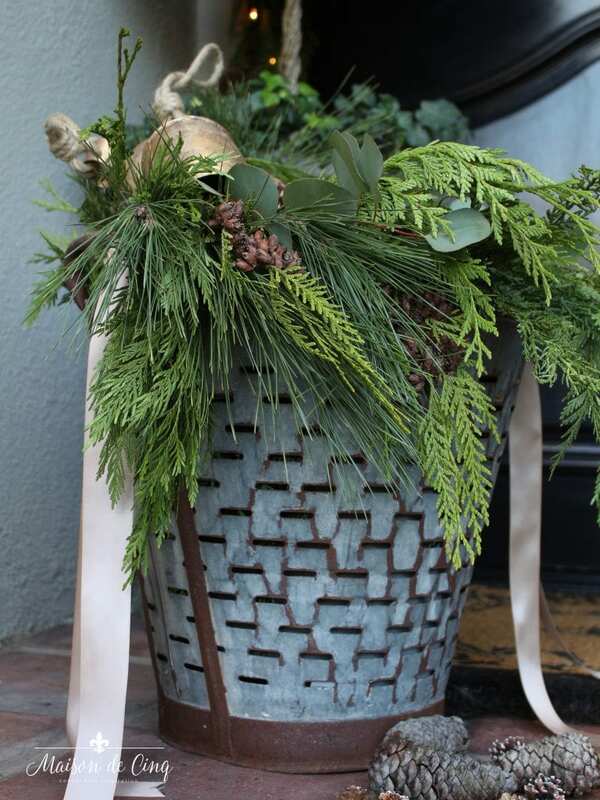 So, I went with some soft blush in my ribbons, and otherwise, a lot of traditional greens and pine cones. 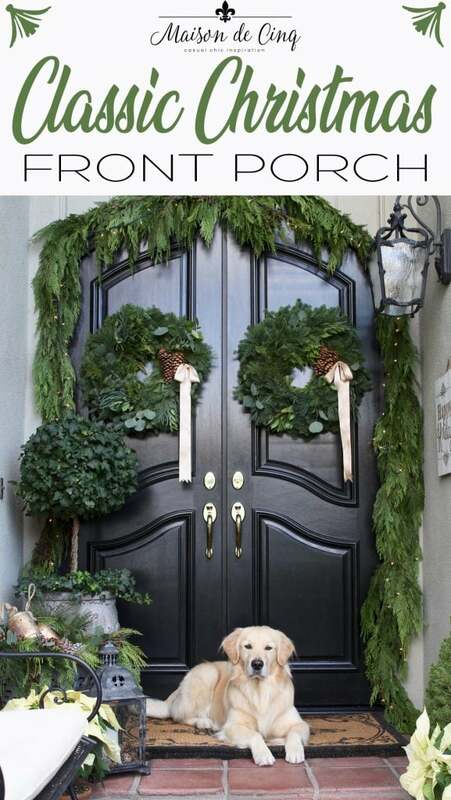 It’s a slightly softer version than last year’s porch, and I love the way it turned out! 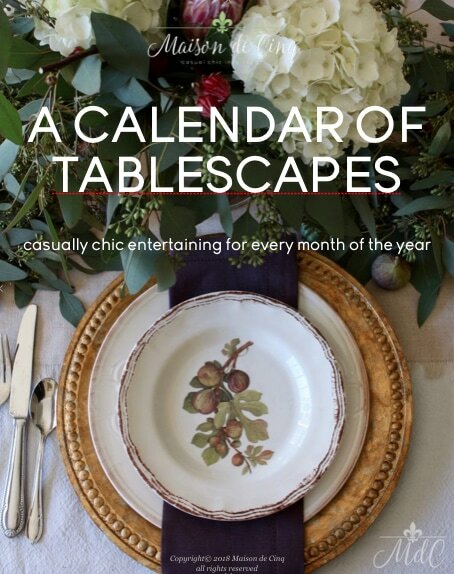 And if you’ve landed here from my friend Cindy of Rough Luxe Lifestyle, welcome! Come on in….. 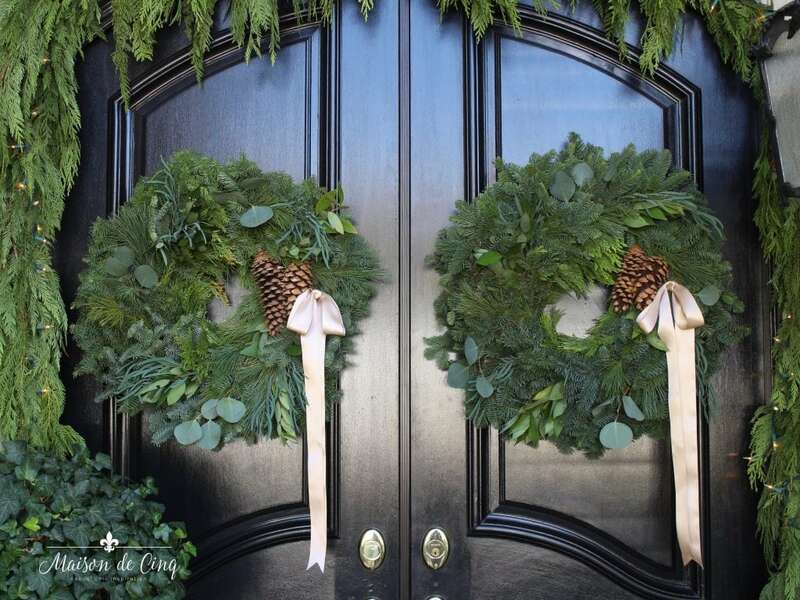 This year I’m lucky enough to be featuring two gorgeous natural wreaths from Lynch Creek Farms and I’m loving them. I chose the Blended Bay Wreath and it’s absolutely gorgeous! And it smells amazing because of the fresh bay leaves! I received their wreaths last year as well, and I can tell you that they are truly beautiful. Grown in the Pacific Northwest and shipped to your door they are definitely a worthwhile treat for the holidays! The garland is live cedar garland from Home Depot. But you could definitely get the same look from faux if you prefer. The Lynch Creek Farm wreaths were already gorgeous on their own with the cedar and bay leaves, but I embellished them just slightly by adding some eucalyptus. 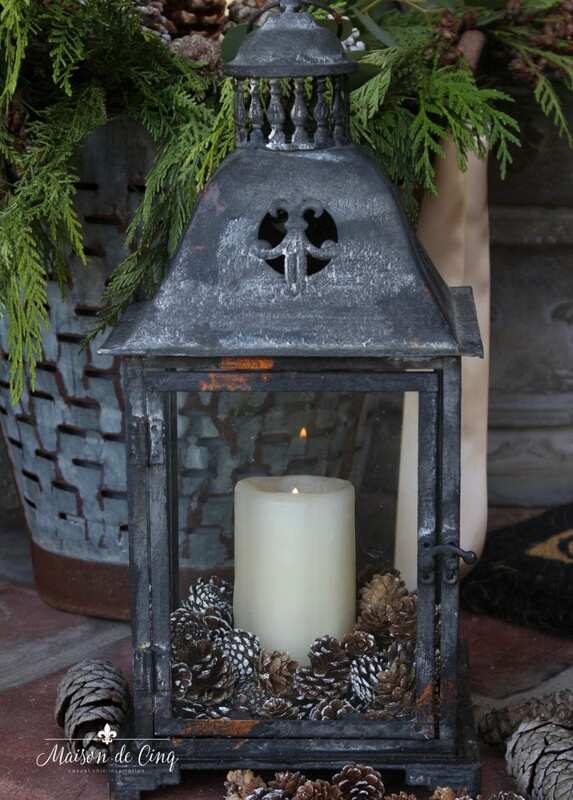 I kept the porch decor simple, with white hydrangeas, a lantern filled with mini pinecones, and a vintage olive basket filled with greens and more pinecones. 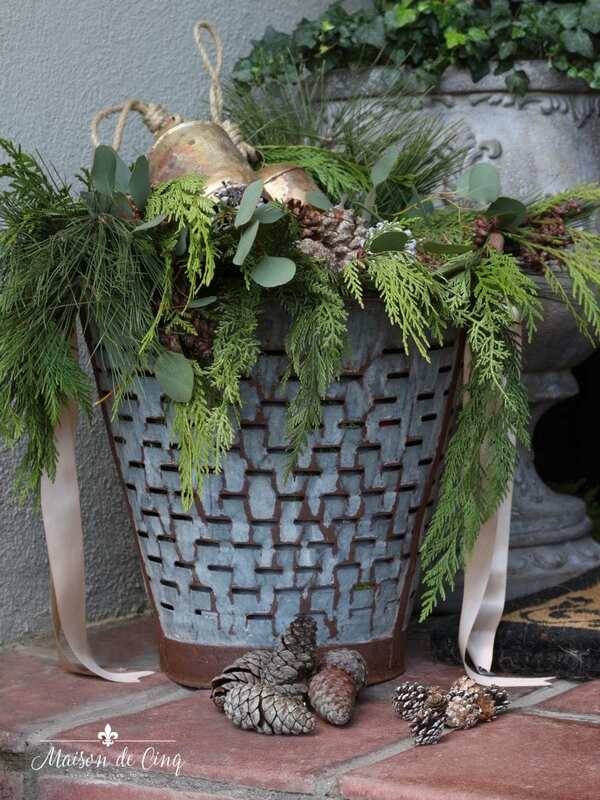 I love the contrast of the vintage rusty olive basket with the pretty blush ribbon. The basket is filled with some faux garland to take up space and fill up the bottom. Then I just piled in live green clippings, pine cones, and some brass bells. This live cedar garland even had little pine cones still growing on it! How cute is that?! I hope you’ll take a few moments and visit The Heathered Nest who’s next on the tour today, and then go onto some of the other gorgeous homes being featured below! This is actually the sixth day of the tour, so there’s lots of inspiration that’s been shared already! 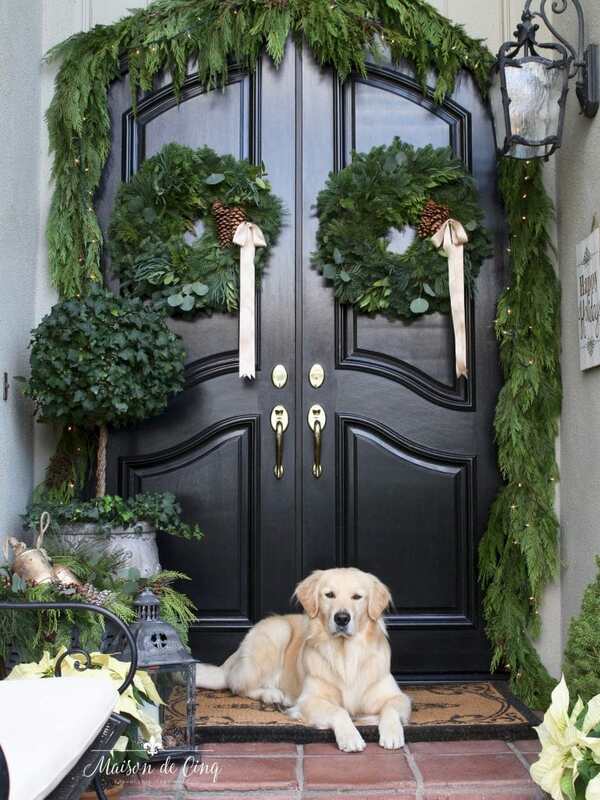 LOVE your front porch decor…as a dog lover, I especially LOVE Hudson…your taste is exquisite! Awww… thank you so much! and thank you from Hudson! Your porch is stunning but your sweet dog stole the show for me. HE IS BEAUTIFUL! Awww thank you so much! We love him! And thanks for your kind words – I so appreciate it! Everything looks so pretty but the absolute best is that beautiful pup in the pictures. Awww – thank you SO very much!! And thank you for stopping by! It does look just fabulous, Sheila! I love all that fresh green against the black! Merry Christmas! Thanks so much Julie! Happy Holidays to you! You entry is gorgeous. 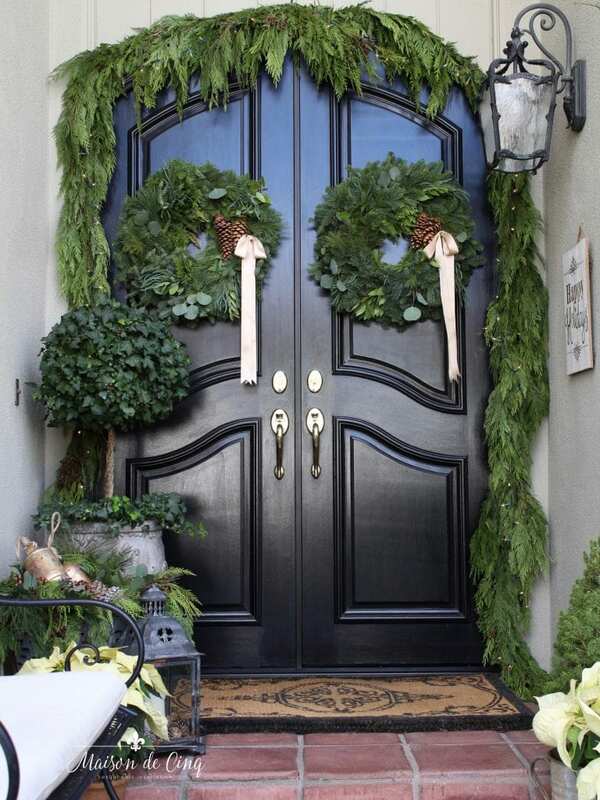 I love the use of the olive buckets and your front doors are amazing with those beautiful wreaths. Thanks so much Marty – I truly appreciate that! It’s absolutely stunning, Sheila! Hudson looks like a dear, too. We have Harley on our front porch; he’s more red than cream but he’s a sweetheart. So very glad you could join us on the tour again this year! Aww thanks so much Christy! He’s a crack up. Sometimes he loves posing, and then other times, he wants nothing to do with it, haha! And thank you so much for having me. Love being a part of this wonderful tour!